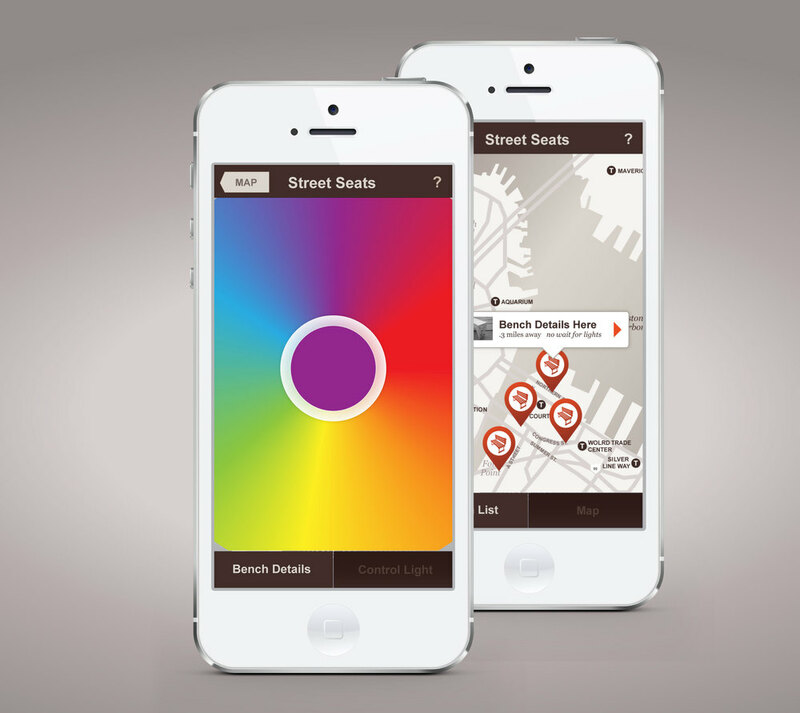 Organized by Design Museum Boston, Street Seats Design Challenge is an international outdoor furniture design competition that will culminate in new waterfront seating, an outdoor design exhibition, and a walking tour around the Fort Point Channel. The competition is open to local and international artists, designers, and enthusiasts. In collaboration with Philips Color Kinetics each installed bench will have an accompanied beacon which houses a LED-powered light that is controlled by a realtime mobile web app we designed and built for the project.